THE BRITISH RAILWAY STORIES LTD: "Hopping mad! 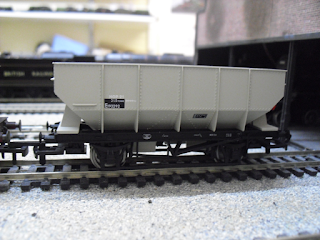 Story of a Hornby Hopper Wagon"
Hopping mad or hopper mad?! I've always wanted to do one of those amazingly long coal trains you see in all of the old steam railway photo albums. With this in mind, I recently picked up a Hornby wagon very cheaply on a stall at a preserved railway. it looked like new, had an "E" for what I assumed at the time meant "Eastern" region, and looked like a coal hopper suitable enough to bung behind my forthcoming Thompson O1 model in a train of hopper wagons. According to the packaging, it's a "BR 20 Ton Hopper", but this didn't seem to be right to me. In terms of decoration (and I say decoration, not physically, for a reason - I have absolutely no idea about steam era wagons at all, but I like learning new things) it's a fairly plain wagon, but everything is very nicely printed and everything is legible. 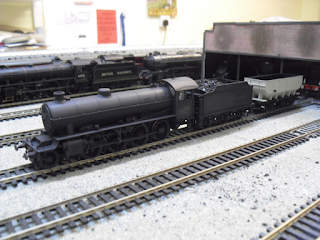 It clearly states in white lettering the legend "HOP 21", so presumably, the model is actually intended to be a reasonable portrayal of the LNER's standard all steel coal hopper wagons (which British Railways did indeed continue building after 1950, I should add). It has the older style couplings, unfortunately, and no NEM pocket, so a degree of modification may be in order for this and future wagons of this type I choose to purchase. I note on a certain Liverpool box shifter's website that they are for sale at £10 a piece and £2 off an order of four wagons, so at a later date I may take them up on that order! In 1936 the LNER introduced all steel hopper wagons for coal. Built until about 1950, (when BR continued building the same design) they used three different solebars, riveting and welding for the bodies and a batch of heavier duty wagons were built early in WW2 using fittings originally intended for wagons destined for continental Europe; minor differences were numerous. So Hornby's model more or less captures the basic proportions of these wagons, which is good to know. My next job is finding out whether the grey livery is at all correct for the 1948-52 period I am intending to model, and if so, I will consult Mr Bartlett's excellent site further for some very much more in-depth examination of weathering patterns and similar to build up my eventual train of wagons with. 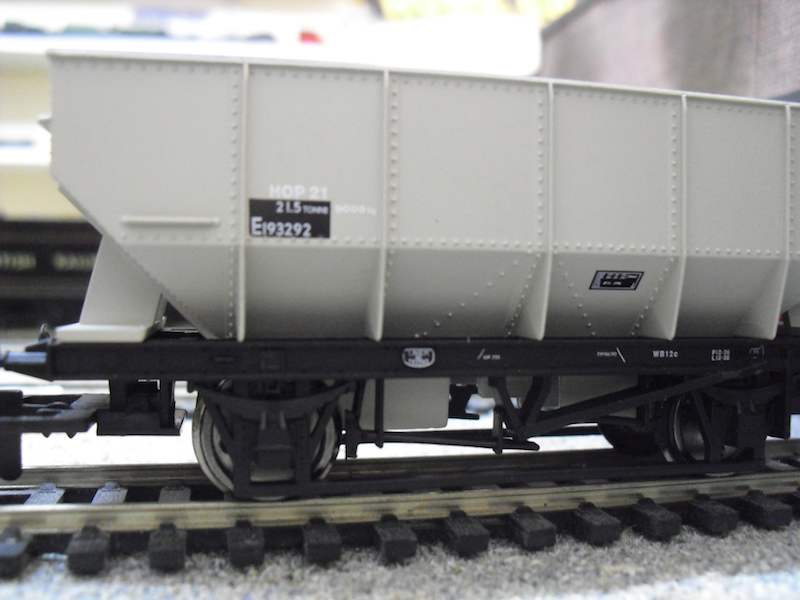 This particular wagon I may have a play around with in terms of weathering powders and airbrushing, to see what effects I can actually do in terms of rust, dirt, and so on and so forth, and how far away I am from being to proficiently weather a train of these vehicles! Until next time: for now I'll leave you with a shot of my thoroughly filthy Thompson O1, pulling the first of its intended heavy and numerous coal hopper train! The hoppers were north eastern based. The North Eastern Railway pioneered the use of hoppers and wagons like this were meant as direct replacements for older hoppers. It'll look very out of place on your Ganwick Curve layout. It would look odd on Ganwick Curve. Good thing I have neither mentioned running it on Ganwick Curve, nor modelling such a train for Ganwick Curve.